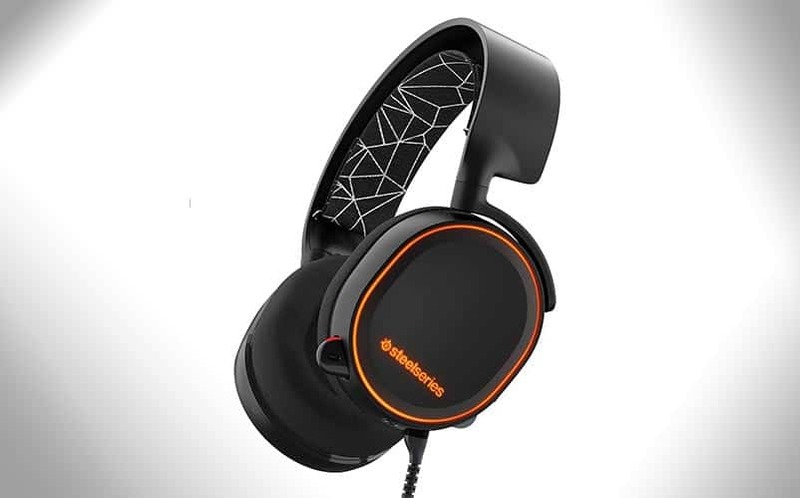 SteelSeries Arctis 5 Gaming Headset: RGB Lighting, DTS, 7.1 | Nerd Much? SteelSeries has really stepped things up a notch over the past few years. I used to consider them a third-option company — not because their products weren’t good, it’s just that they didn’t have anything that stood out in the crowded market. But over the past few years, they’ve introduced great products like the QcK+ gaming mouse pad, their Siberia line of headsets, and even some high quality mobile gaming controllers for Android and iOS. Recently, we praised the new SteelSeries Rival Gaming Mouse, and today, we’re featuring the new SteelSeries Arctis 5 Gaming Headset. The SteelSeries Arctis 5 allows gamers to set their own colors with prism RGB illumination, allowing them to pick from up to 16.8 million different colors and numerous lighting patterns. On the headset’s USB cord, there’s a unique ChatMix dial that allows players to instantly adjust the volume balance between chat and game audio. So, if you’re playing something like Overwatch and you’re on the point, and suddenly the entire opposing team starts throwing their ultimates at you all at once, you can lower the game volume quickly and effortlessly to save your ears. The Arctis 5 also has premium 3D audio with DTS headphone:X 7.1 surround sound for PC players. The headset also works with Mac, PS4, Xbox One, VR, and mobile, although the audio is just stereo. Still, the headset sounds great, and its quality build design paired with the RGB lighting makes it a great choice when buying a headset. For more cool stuff, stay tuned to Nerd Much?. You can also throw shade at us on Twitter if you’d like.